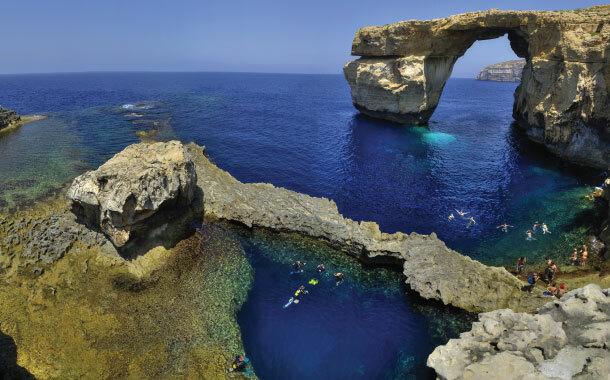 Nestled on the island of Gozo in Malta (Mediterranean Sea), the Azure Window unfortunately collapsed on 8th March, 2017. According to sources, natural erosion coupled with powerful storm led the limestone pillar of the arch to crash into the sea. 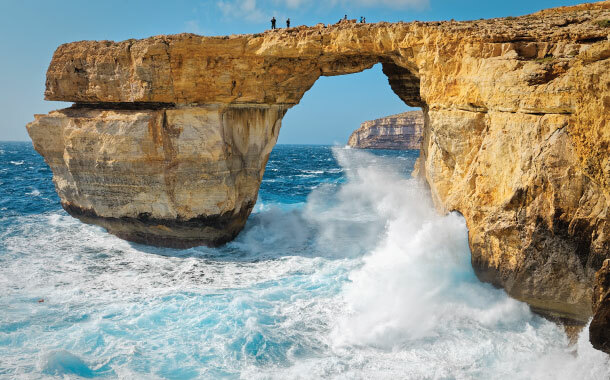 The 28-metre-tall limestone arch has been completely wiped off, with no remains above sea level; it’s a major loss to Malta's natural heritage. 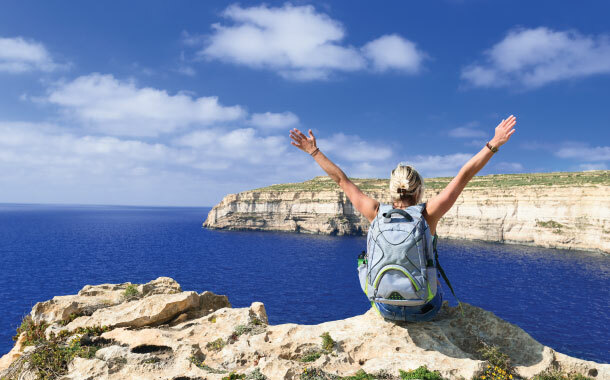 Take a look at some of the interesting facts of Azure Window which was the iconic landmark of Malta near the Dwejra Bay, Europe. Remember having seen this arch before? Well, the Dothraki wedding scene from the famous television series, Game of Thrones was shot here. Other fantasy films and television series whose filming took place at the Azure Windows are Clash of the Titans (1981), The Count of Monte Cristo (2002) and The Odyssey (1997). Earlier, travellers could enjoy a boat tour around the cliff; this place was a hotspot among the cliff-divers. Over a period of nearly 500 years, rain and sea erosion caused a huge hole in the cliff. In the last 30 years, the continuous erosion resulted in the dislocation of a large slab of rock. For safety issues, the government made it illegal to walk over the top of the arch, failing which, a fine of €1,500 would be levied. Even when the Azure Window was intact, the authorities had decided to rename it - The Azure Pinnacle or The Azure Stack, post its collapse. Photographers flocked to this scenic haven to capture its breathtaking beauty. 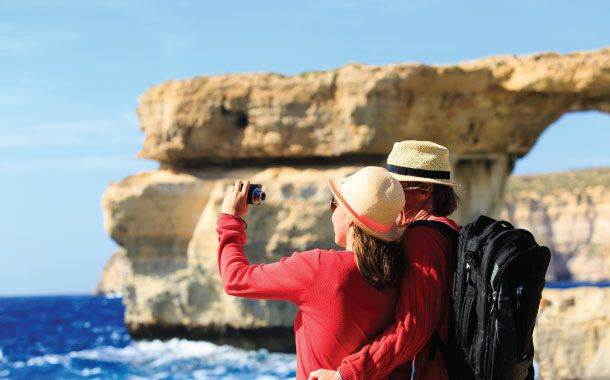 A special area of conservation, the Azure Window along with rest of the Dwejra Bay was included in Malta's tentative list of UNESCO World Heritage Sites in 1998. 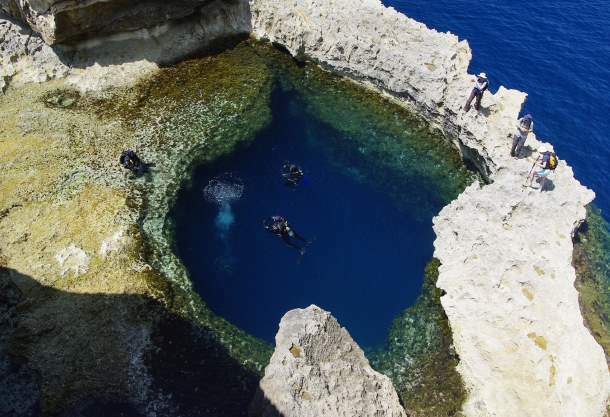 Other attractions closer to the Azure Window include the Blue Hole, the Fungus Rock and the inland sea. 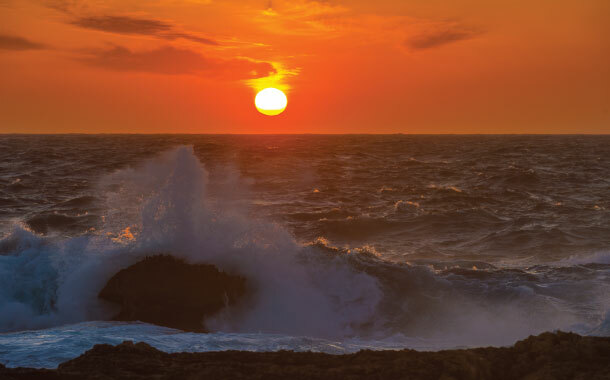 A natural rock formation carved over the centuries by natural processes, the Blue Hole offers sheltered entry to the divers to explore the rich marine life like sea horses, fire worms and octopuses. The collapse of this iconic Malta landmark calls upon us to raise awareness to preserve our natural heritage sites, so that our future generations too can savour their beauty.